Morningstar has launched a campaign against counterfeit manufacturers to protect customers at home and abroad. 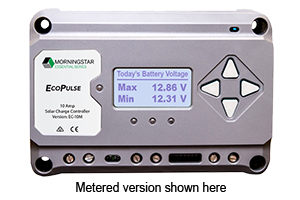 Morningstar Corporation, a world-leading supplier of solar charge controllers & inverters—today launched a multi-faceted program to protect against the distribution of counterfeit Morningstar products by unauthorized manufacturers, distributors and sellers. With over two million units installed, in over 112 countries around the world, Morningstar has a reputation for delivering the industry’s best portfolio of solar charge controllers & inverters. The effect of unauthentic products in the market has been noted and the company is taking steps to halt further fraudulent business practices originating in China. The newly launched program will emphasize customer awareness, validation methods, securing software, packaging updates and other best practices.